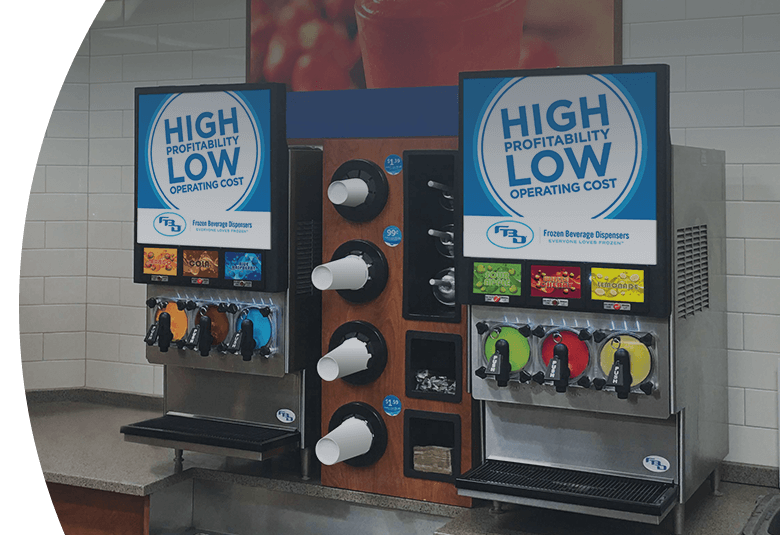 When brands like ICEE, Burger King, and Taco Bell want a Frozen Beverage dispenser...FBD is who they call. Let’s Build Your Frozen Beverage Program Today! Yes, I want to get started with a Profitable Frozen Beverage Program Today! Whether you run a movie theater, a convenience store, a quick serve restaurant, a bar or an institution, our expert team can advise you on the best way to set up a profitable frozen program, specific to your unique needs. Provide an operations implementation plan including labor, maintenance savings estimates. Discuss Frozen Beverage program options that meet your business’ needs. 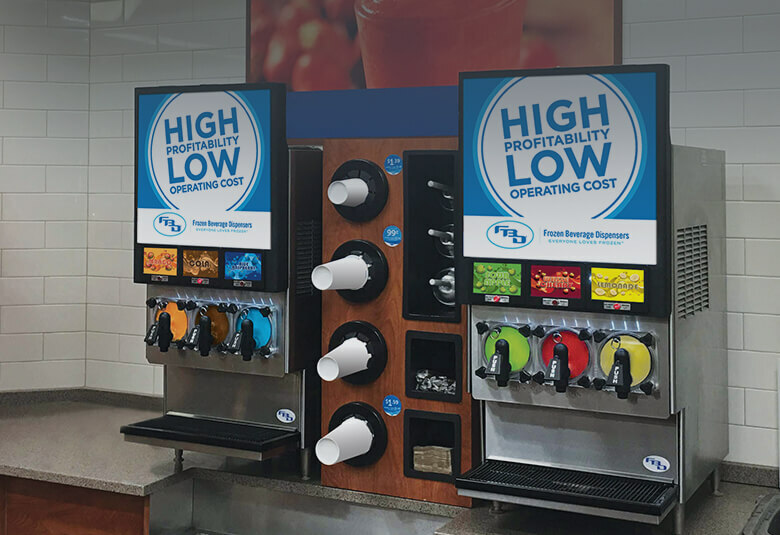 Since 1996, FBD has been the leading manufacturer of frozen beverage dispensers, specializing in innovative design, superior engineering and reliable customer service. A privately-owned company based in San Antonio, Texas, FBD also operates facilities in Dallas, Texas; Atlanta, Georgia; Shenzhen, China; Singapore; and Hong Kong. With a customer-first philosophy and integrity at the root of every business decision, FBD serves customers in the quick service restaurant, convenience store, theater and theme park industries. Is there anything I need to prepare before our call? Not particularly. As long as you can answer basic questions about your business this should be sufficient for this first conversation. Will you help me determine if there will be an ROI in my particular case? Will you help me plan how and determine what is needed to start a frozen program? Yes - absolutely, our support team can help you do that. Can you help me get a program started in terms of syrups, cups, straws, lids, etc.? Our team of experts will connect you with the right partners for your need. Third party trademarks, logos, trade names and copyrighted material appearing on the site are the property of their respective owners.